"Many local governments do not have the funds or dedicated 311 hotlines to interact with its citizens for the various city issues its citizens encounter. 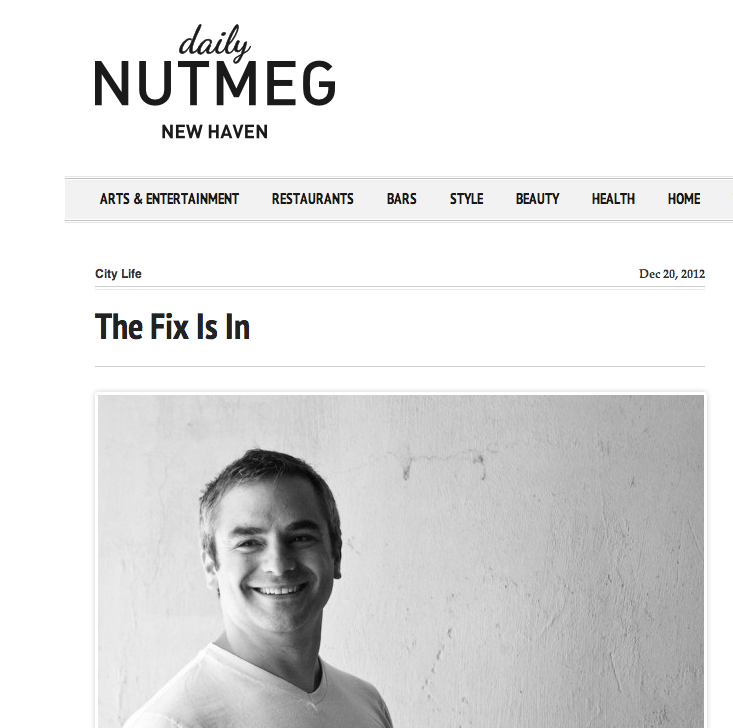 SeeClickFix is a simple but elegant solution to this governmental challenge. 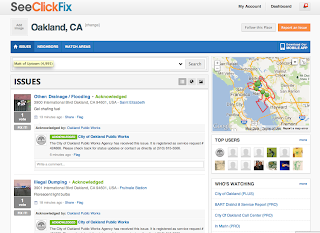 It provides an interactive site where citizens can post the potholes, trash oversights, or other community issues those citizens see locally and local governments can respond using SeeClickFix. Local governments can use the site to reduce overhead costs and increase communication, interaction and participation with its city residents." 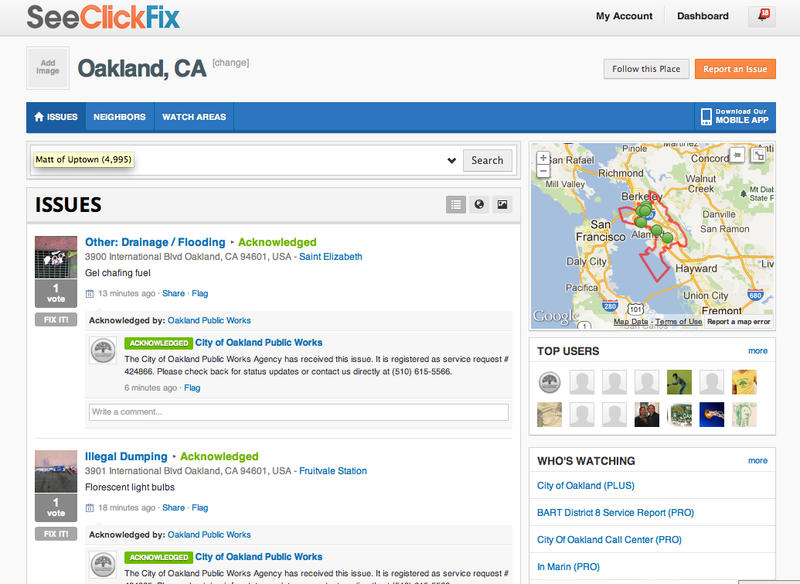 "SeeClickFix enables residents and local governments to collaborate more effectively. This strengthens community ties, efficiency, and can enhance livability initiatives by providing local governments with residents’ perspective regarding community needs. In addition, it reduces the bureaucracy that many community residents may feel stifles their relationship with local officials." It's gratifying to be recognized as a tool that makes a helpful contribution to the lives of senior citizens across the country, and we appreciate the AARP's kind words. The SeeClickFix Team is happy to announce the launch of our newest municipal partner! Surrey, British Columbia will be using our mobile apps and web tools to improve customer service and maximize city resources. Read the city announcement below, report an issue in Surrey or download our apps! 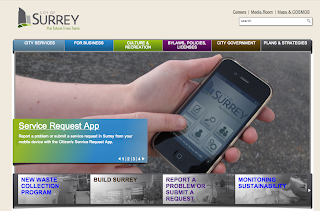 The City of Surrey, BC has launched a new mobile phone app designed to make it easier for residents and businesses to submit service requests and report issues. “We are simplifying the process for reporting concerns, which will improve customer service, save time and money, and make it easier for City crews to locate problems. We hope it will lead to more issues being reported and fixed in a timely manner,” says Mayor Dianne Watts. The app allows people to take photos and report concerns such as potholes, illegal dumping, localized flooding, graffiti and other issues. The location of the problem is pinpointed through the smartphone’s built-in GPS, the service request is automatically entered into the City’s workflow system, and the user can easily check for updates on the status of the request. 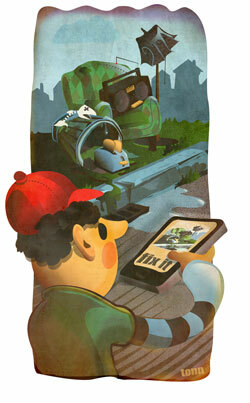 “The smartphone app will make it easier for citizens to interact with the City. Coming into City Hall or calling a staff person to report an issue can be a time-consuming and costly way to conduct business,” says Councillor Linda Hepner, Chair of the Mayor’s Committee on Red Tape Reduction. She adds the City is reviewing all its policies and procedures to determine where efficiencies can be made. During Hurricane Sandy, SeeClickFix was one of a number of organizations collaborating across different levels of government to provide support for citizens affected by the storm. The U.S. General Services Administration recently organized a webinar with SeeClickFix and the National Oceanographic and Atmospheric Administration to help describe some of the lessons learned through this experience. The webinar can be viewed here. Ben Berkowitz, SeeClickFix's CEO, begins speaking at about the 32:00 minute mark. Hilton Collins at Government Technology writes on how SeeClickFix helped aid like Crisfield, MD during Hurricane Sandy. With emergency phone lines at their capacity, SeeClickFix helped alleviate the number of incoming calls by providing citizens with another channel for communicating storm related issues. With sites like the Huffington Post and local NBC sites hosting SeeClickFix Map Widgets, Crisfield and other affected communities were able to report sheltering needs that were monitored and managed by FEMA.Within weeks over 200 issues were submitted by Crisfield volunteers in helping clean their city. Read more here and view a time lapse of Sandy related issues as they were reported during the storm! The good folks who produce PBS News Hour, MacNeil Lehrer Productions, have created an educational video for school age children to be shared in Public Schools around the Country. The subject of the video is civic engagement and 2 civic platforms helping to enable that engagement. SeeClickFix and Mind Mixer, another awesome and kindred civic start-up are feature here. Please share around with your neigbors. Polis, a blog about cities around the world, recently featured an interview with SeeClickFix CEO Ben Berkowitz. A few highlights of the interview are below. To read the entire interview, go here. To say that we've been busy here at SeeClickFix this past week would be an understatement. As a no-brainer service to communities affected by Hurricane Sandy, we have been waiving all setup and software license fees for local governments that wanted to leverage the power of our crowd-sourced data platform in response and recovery efforts. In similar fashion, we have been waiving license fees for our premium, ad-free content widgets, for local, regional, and national media outlets that wanted to use our tools raise awareness of critical community problems with their readers. Going one step further, we wanted to make all SeeClickFix storm-related reports available to any developers who want to leverage them for their own projects. To that end, we got connected early on with the #HurricaneHackers, a spontaneously connected group of software developers who were brainstorming and building online tools related to Hurricane Sandy. I want to take a moment to briefly outline the self-serve content partnership opportunities we presented to the tech community. You can see live examples of SeeClickFix storm issue maps on The Huffington Post, NBC (Washington, Philadelphia, Connecticut), Boston.com, Philly.com, The Hour (Fairfield County, CT), and CT News Junkie. Note, for these widgets related that to Hurricane Sandy, we will upgrade you to our premium ad-free platform at no charge. 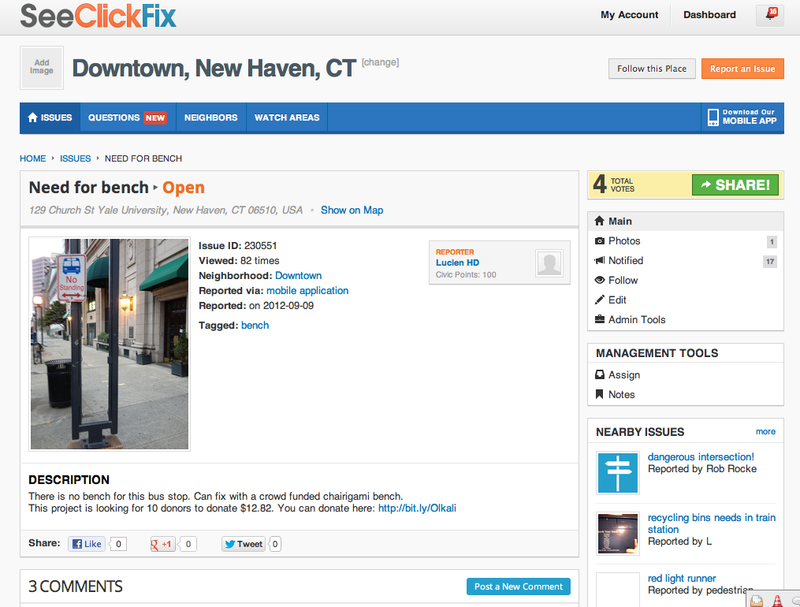 Again, make sure you start by searching for the neighborhood, town, city, county, or state in question at seeclickfix.com, in order to get get the exact address spelling for the place in question. Obviously, for a custom software development project/mashup, you might need more flexibility than what it offered with our off-the-shelf widgets and RSS feeds. For these projects, we invite developers to take advantage of the SeeClickFix API. Do you have ideas for a SeeClickFix storm-related hack project? Get in touch, we'll try to help in any way we can. If you need direct assistance with leveraging SeeClickFix content for your website or project, please contact me at @zbeat or zack [at] seeclickfix [dot] com. Again, if you're using a widget related to the hurricane, be sure to reach out to have us remove the banner ads free of charge. In a quick time-out from helping folks use SeeClickFix to recover from Sandy we wanted to share one of our favorite stories of communities coming together around this devastating event. I want to thank you for an article you wrote back in September. You wrote about SeeClickFix, a startup that lets people report potholes to their town government. Monday, Crisfield, Maryland was hit harder than any other community in Maryland by Hurricane Sandy. Swift boat rescue teams had to go by boat house to house to rescue people from flooding worse than I’ve ever seen in my lifetime. As word of the devastation spread, we were fortunate that, through social media, so many people learned of the devastation that the hurricane brought to our town and offered to help. As offers to help came pouring in, I realized that our municipal and county governments wouldn’t be able to harness the energy of volunteers because they were so busy providing basic services to their citizens. The chamber of commerce, in cooperation with the City of Crisfield, took on the task of organizing these volunteers. I offered to lead the effort as a chamber member and, as I did, I remembered the article you wrote about SeeClickFix. On a whim, in the middle of the night/early morning on Wednesday, I emailed the CEO, after a quick online search and told him about our town. I will forward to you the email I sent when I can find it. The same day, I heard back and they offered to set us up with a free service to let us use this app to identify and report damage from Hurricane Sandy that our volunteers can help fix. Today at 1 p.m. we had the first meeting of volunteers, who downloaded the app, and spread out through town. In a few hours, we had made it through half of the town, identifying 85 issues. Tomorrow, we delve into the hardest hit area of town and will probably triple that number. 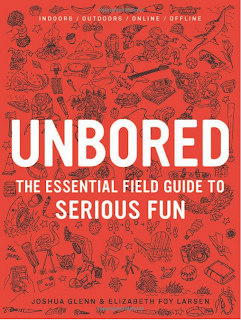 If we didn’t have this app, we wouldn’t have been able to harness this energy so effectively. Instead of a bunch of people in the back office organizing things, everyone is out on the street clearing debris out of homes and getting trees off of cars and homes. If you look at our Issues dashboard we now have “white flag” house as a category and are using the app to find people who need food and shelter." Hurricane Sandy is serving as a reminder that the Internet, and specifically open platforms designed to connect people and resolve problems, can help government expand the act of governance to its citizens and organizational partners in the community.